FBI Recognizes IPSC With Award! Don’t Miss A Thing In January! Art & Photography Contest Open Now! 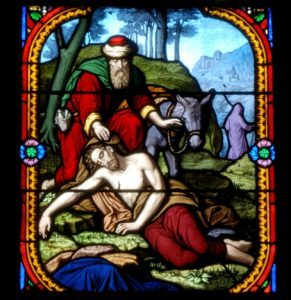 What do sacred texts like the Old and New Testament really mean when they speak of stranger, friend, and neighbor? in the OT (Carl) and NT (Don). Our own Carl Evans and Don Cooper will share their understanding, based on their lifetimes of study (Carl OT and Don NT). Then they will lead a discussion of related concepts in the religious traditions of those attending. Carl Evans (Ph.D. Univ. of Chicago, 1974) is the former Chair of Religious Studies at USC Columbia. Don Cooper (Ph.D. Harvard, 1971) is adjunct Professor of Linguistics at USC. Join old and new friends from many faiths for good food and fellowship. All are welcome, whatever your religion or non-religion! We order separately, no required order minimum. On behalf of Interfaith partners of South Carolina, it is a delight to welcome you all this morning for this rather unique gathering here at the State House, announcing the Governor’s proclamation of January 2018 as Interfaith Harmony Month. We surely appreciate you coming out for this special occasion. Scholar Diana Eck informs us that the United States is the most religiously diverse nation in the world. South Carolina is both historically and today no exception to the reality of religious diversity. We cross religious boundaries through our everyday encounters in schools, colleges, coffee shops, work spaces, sports field sidelines and social media sites. But Eck adds that religious diversity is merely a fact – it doesn’t inform us how well we get along with one another – and surely that’s a more interesting and more important challenge to address. So, I would ask, how do we get along with one another here in South Carolina? Well, though there is still a long way to go, we do have cause to celebrate. Interfaith Partners of South Carolina represents many vibrant and diverse religious traditions across this State. We are in many ways the ‘ultimate group of diversity’ – holding to fundamental differences in religious belief and expression. And yet, we at IPSC strive diligently to educate, encourage and empower people from diverse religious traditions to build bridges of understanding, dignity and respect. 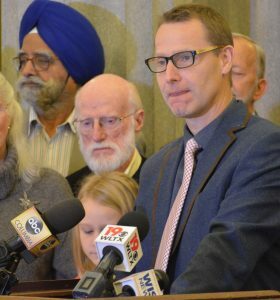 It is precisely because of our diversity that we can celebrate the transformative potential that emerges when we work together, building those essential bridges across boundaries of division, as evidenced by the many initiatives, discussions and events generated through local IPSC groups across the State over the last several years. 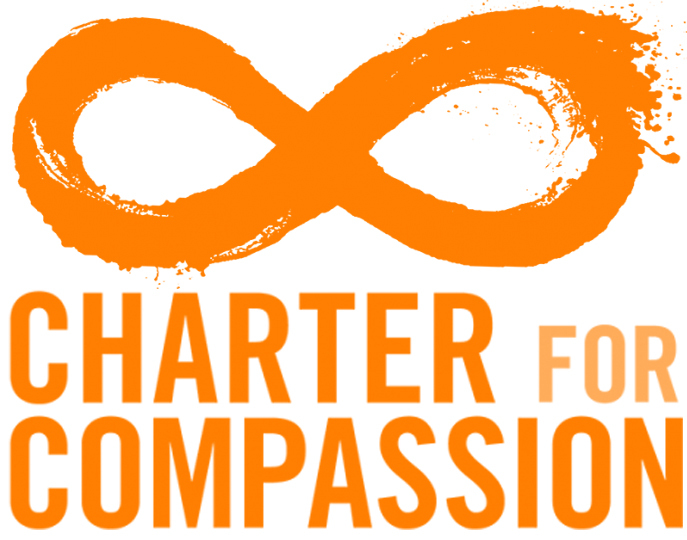 This work continues into 2018, beginning with a wonderful range of events taking place for Interfaith harmony month this coming January. We do this work because it is too important for us to neglect. 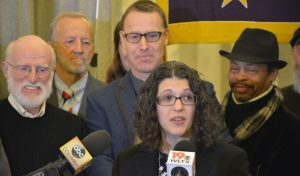 At a time when much of the global and local rhetoric drives the idea that we, as human beings, need ‘protecting’ from one another, Interfaith partners of South Carolina and local chapters across the State instead encourage us to ‘know’ one another, building relationships of trust, helping to overcome walls of ignorance that divide us. 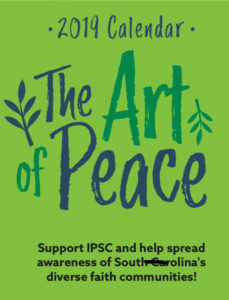 IPSC will speak the language of protection if and when religious voices are excluded or prejudice drives destruction. But ultimately it is only in knowing one another that we truly learn to see and relate to each other as dignified human beings. Community building cannot thrive when we judge the worst of another’s tradition in comparison to the best of our own. Instead, IPSC urges that we ‘get to know the best in one another’, raising awareness of our community needs; connecting with one another; and celebrating one another in our religious differences. This is key to building and maintaining strong, enriching and peaceable communities. Local needs, local collaborations, local progress. And so, we gather this morning, to celebrate the Governor’s proclamation of January, 2018, as Interfaith Harmony Month right here in South Carolina. We invite you to check out the IPSC website to discover an event in your local area and to celebrate religious diversity close to home – and to check out the many other exciting plans we have in store for 2018. 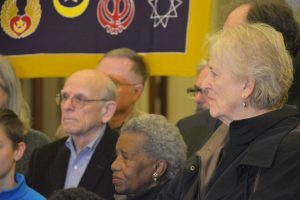 Now, without further ado, it gives me great pleasure to call upon Cheryl Nail, newly elected Vice President of Interfaith Partners of South Carolina, to read the Governor’s proclamation. 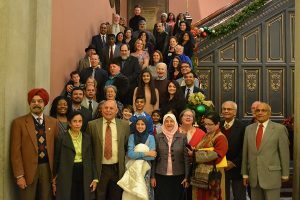 Interfaith Partners of S.C. announces that Governor Henry McMaster has issued a formal proclamation naming January 2018 “South Carolina Interfaith Harmony Month.” Interfaith Partners will read the proclamation and release a schedule of events at a media event in the State House lobby on Thursday, December 28, 2017, at 10:00 AM. Interfaith Partners of S.C. mourns the loss of our 2016-2017 President, Dr. Will Moreau Goins, who also served as Faith Representative for Native American spirituality on our board of directors. Dr. Goins brought many gifts to his role in IPSC, including his understanding of the American Indian deep connection with the earth. His enthusiasm for creative ways of engaging others resulted in a 2016 children’s interfaith art contest. He was closely involved with the creation of South Carolina’s first printed interfaith calendar, delivered just days ago. (A copy of this beautiful educational calendar will be mailed to every school district in the state.) 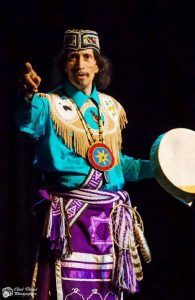 Many have been inspired by Dr. Goins’ singing, his beautiful beading and other Native crafts, and his knowledge of First Peoples history and struggle to survive following the European migrations. Dr. Goins’ passion for preserving his Native heritage, spirituality, and social justice will be sorely missed. His mark on Interfaith Partners of S.C. remains a tribute to his life of service. You are invited to post your memories of Will on our Facebook page. 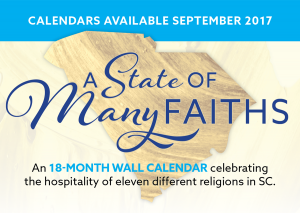 Beautiful 18-month 2018 calendar featuring information on each of 11 S.C. religious groups and important holidays.